As Foxconn pulls the classic bait-and-switch on jobs and commitment to Wisconsin, the people are stuck with a deal that will cost everyone for 25 more years. 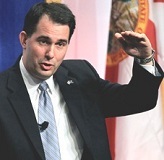 Is Walker's big deal turning into just another empty election year promise? GREEN BAY, WI - Since Governor Walker’s initial announcement of the Foxconn deal he has been promising it will create 13,000 jobs. But anyone who remembers his promise back in 2010 to create 250,000 jobs during his first term in office knows to take such promises with a large grain of salt. 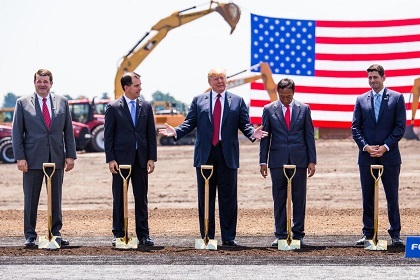 The same day that Walker made his promise of 13,000 new jobs, Foxconn’s owner Terry Gau would only commit to creating 3,000 jobs and even President Trump said 3,000 jobs would be initially created. Since that time the Foxconn project has been a moving target with Foxconn officials recently admitting that they now plan to build a much smaller plant less than half the size of the original and one that will require far fewer workers. That number is likely to become even smaller now that Foxconn admitted what many of us already said would happen: that most of the assembly and production jobs will not be done by people. Foxconn executive Louis Woo admitted as much when he said it’s more likely that Foxconn will only hire 2,000 workers initially and that the majority of the assembly jobs will be done by robots. The impact on other state businesses is now a question mark as well since Foxconn also recently announced they will go to businesses in other states for the parts and materials they need. 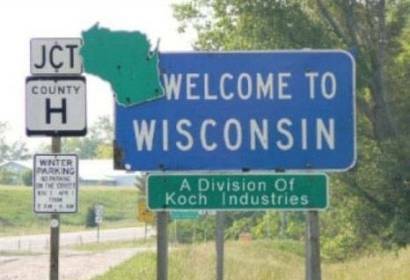 The one thing that does seem consistent here, though, is that the people of Wisconsin will be paying off this boondoggle for a good part of their lives. In fact, even if Foxconn doesn’t hire a single employee, it can still reap up to $1 billion or more in public assistance including: $764 million in local property tax subsidies, $164 million in new state and local roads for Foxconn at the expense of our own local roads and highways, $120 million for a new electric line that will be paid for by utility customers who may have no connection to Foxconn whatsoever, a $139 million sales tax exemption for building materials, and $15 million in state grants to help local governments pay for Foxconn. It’s been estimated that the Foxconn deal could cost every man, woman and child $500 or more and that taxpayers won’t see their money returned in full until at least 2043 and possibly later. Governor Walker and Republicans are fond of saying that “you know how to spend your money better than the government does.” Except, of course, when they’re doing favors for their corporate friends. In this case they’ve decided that billions of your and your children’s money is better given to a foreign billionaire than used to feed your family, pay your rent, put toward your health insurance or invest in your local schools and roads. Given Foxconn’s ever-changing stories, their past history of making big promises only to renege on them, and the Governor’s own issues with the truth, it’s time to call the Foxconn deal what it is, a classic bait-and-switch that is harmful to taxpayers and that will do nothing to help the vast majority of struggling families and communities around the state. Gov. 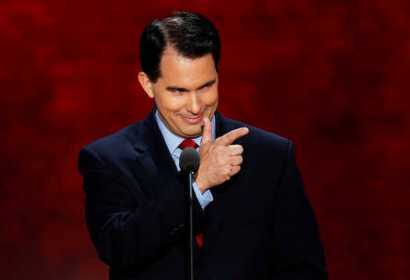 Walker can spin his record anyway he wants, but is more spin what we really needed? 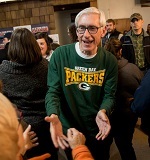 GREEN BAY - The Governor’s latest series of flip flops on health care, education and the lack of jobs in our rural communities just shows how desperate he is about his chances in the upcoming election. - Not that long ago he took President Trump’s side in supporting the ability of insurance companies to deny people with preexisting conditions. 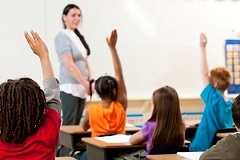 - In his first term he inflicted the biggest cut to our public schools in our state’s history—costing many of our schools some of their best teachers and forcing local school districts to beg taxpayers for enough money to keep the lights on. - And offering $50 million to rural communities in north and western Wisconsin is a pittance compared to the $4 billion he is giving to a Taiwanese billionaire to help create jobs for people living in northern Illinois. Governor Walker has also failed to keep his promise to create 250,000 jobs. He has failed to take responsibility for driving our transportation system into the ditch, and he has signed into law some of the most egregious corporate attacks on our environmental protections that will lead to more of our wetlands being lost and more of our lakes, streams and drinking water being polluted. 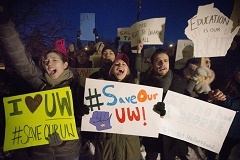 And, despite his claims to the contrary, Governor Walker has still done absolutely nothing to lower student loan payments for the over 800,000 people in this state who are struggling under the weight of high cost student loans. Governor Walker can spin his record anyway he wants, but as we have seen around the country and in western Wisconsin, the people want change. And next fall they will have the ultimate say on whether his speech today was a success. 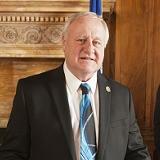 Walker's call for special session on welfare reform last Thursday was attempt to divert people’s attention from latest Republican failures says Green Bay Senator. 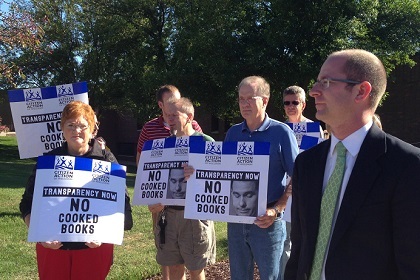 GREEN BAY - Adam Jarchow lost in Tuesday’s senate election in part because he and his Republican friends chose to attack struggling families. Despite voters’ rejection of these types of attacks, Governor Walker sees them as his opportunity to excite his supporters and shift their attention away from the fact that he, President Trump and Republicans in Madison and Congress have failed to help improve their lives. Instead of giving a Taiwanese billionaire over $4 billion that will do little to help the vast majority of people in this state, a more informed governor might have decided instead to invest that money into our own families, businesses, schools and roads all across the state. Now, seeing that his reelection ploy is not working, he is trying to divert the people’s attention by calling a special session to wage new attacks on working families and the poor. Governor Walker’s call for a special session is another sign that he and legislative Republicans are running scared. It is a transparently political move that is just another reason so many people are voting for real change in Wisconsin and around the country.